From my pad, if you turn one way and walk for about ten minutes, you reach a small collections of shops, market stalls and caffs that could be found in any small town. It could be Walsall. There isn't even the mediocrity of a Costa for your caffeine needs. Ten minutes in the other direction is the loveliness of Bermondsey Street, which has several purveyors of coffee, intermingled with the New Yorky restaurants and bars and shops full of beautiful, and occasionally useful, objects. I wanted to try out the coffee at 124 today, but they were closed, so I'll have to go back--probably at brunch o'clock, because the menu looks great. 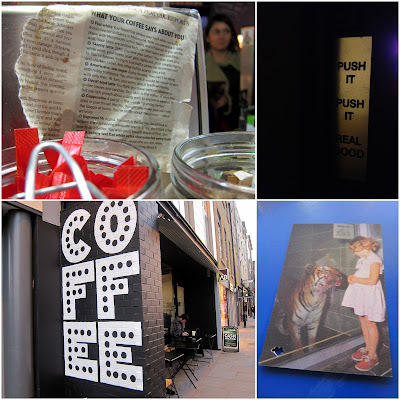 Instead, I went to Bermondsey Street Coffee, an arty, hipster cafe that takes its coffee so seriously, even the lamp shades are made from recycled, disposable coffee cups. Their motto is, "come happy, leave edgy," innit. The name, incidentally, looks like it might be parsed as Bermondsey [Street Coffee] rather than [Bermondsey Street] Coffee, although there is also a [Brick Lane] Coffee and a [Goswell Road] Coffee. I digress. The coffee itself is good but not great. I have had a couple of double macchiatos and both have tasted a little scalded and with a little more milk than I prefer. There is no latte art either, and not because they're too cool. Still, at £1.50 for a double mac, the prices are good. 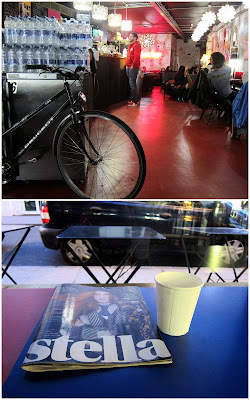 And most people seem to bring their own Mac(Book), so perhaps the longer and flavoured drinks are the way to go. Bermondsey Street Coffee also serve a range of salads, sandwiches, "breakfast muffs," and soups, and you can linger over your drink with a selection of reading materials, from the papers and a few magazines, to the random books, such as The Encyclopedia of Animal Ecology. This won't be the place I come to treat myself to a truly excellent coffee, but I can imagine hanging out here and people-watching in the window seats, especially on those dark, cold winter afternoons like today. Finally (and the relevance of this will become clear from my next post), they have a loyalty card that features a Bengal tiger. 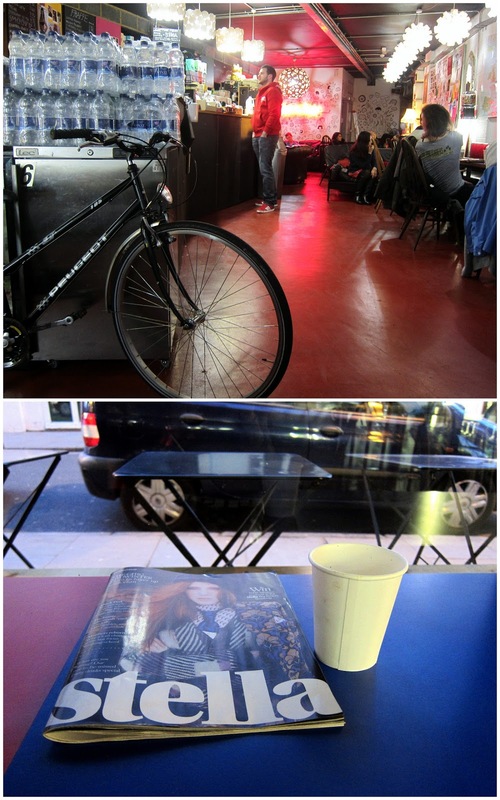 Bermondsey Coffee. 163-167 Bermondsey Street, London, SE1 3UW (Tube: London Bridge). Website. Twitter.